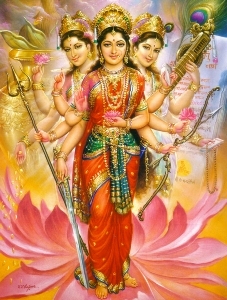 Kamakoti.org presents the Essence of Devi Bhagavata Purana in English, condensed by Sri. V.D.N.Rao, devotee of Sri Kanchi Kamakoti Peetam and retired official of the Government of India. Devi Bhagavata Purana is one of the major eighteen Puranas. How King Janaka convinced Suka Muni to marry? How Satyavrata an illiterate Brahmin became a Learned Sage? Play of ‘Maya’ - Narada’s wedding and womanhood !